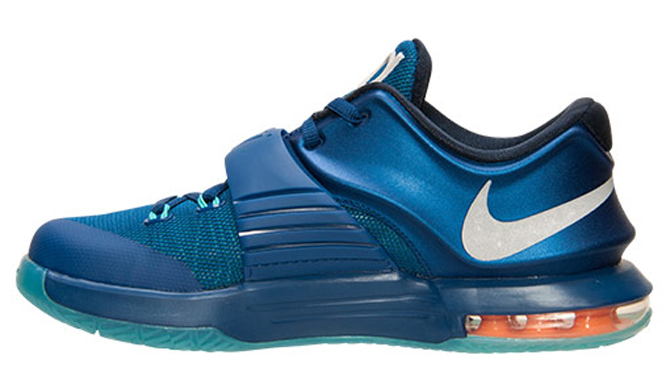 The Nike KD 7 Elite doesn't come in kid's sizes, as it wouldn't make sense for a shoe so oriented towards pinnacle performance to be transformed into a GS model. 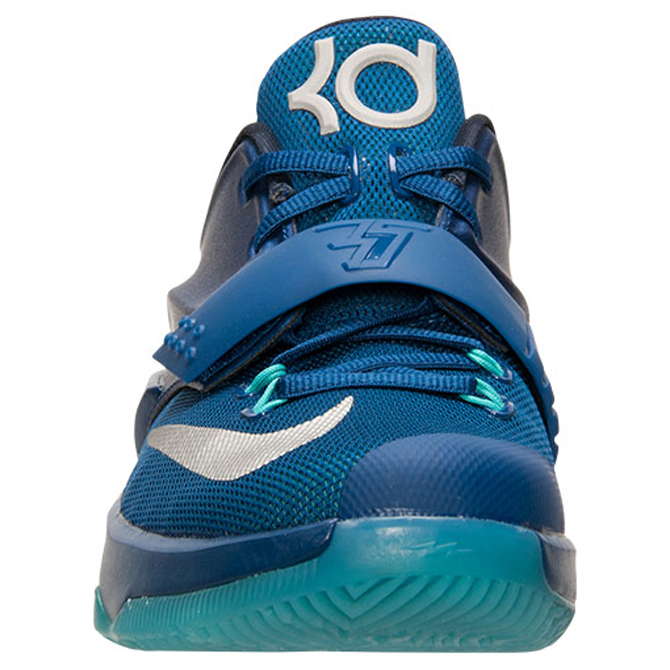 But, Nike Basketball is filling the gaps by giving the kids exclusive versions of the KD 7 that feature colorways clearly inspired by the Elite line. 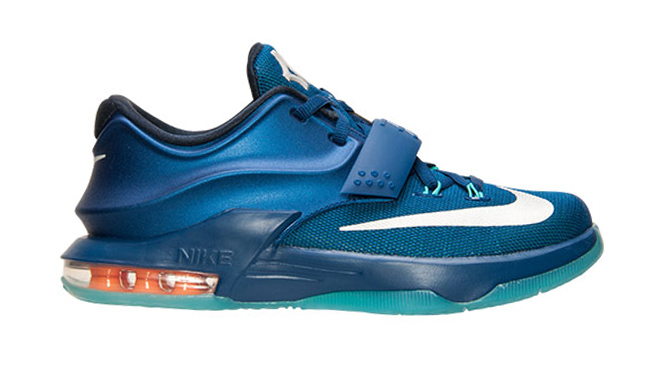 This pair with its gym blue, for example, looks to the upcoming Nike KD 7 Elite "Elevate" for inspiration. 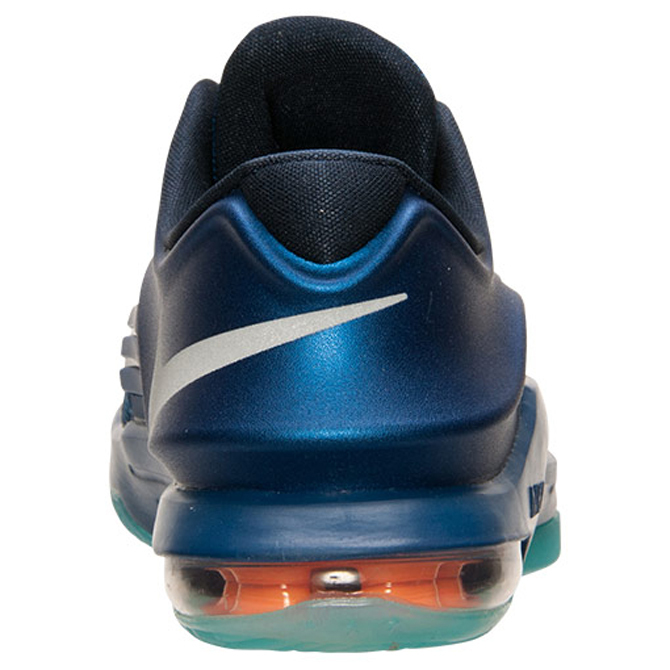 That being said, the shoe does skip the obsidian and light retro colors used by the adult Elite pair. 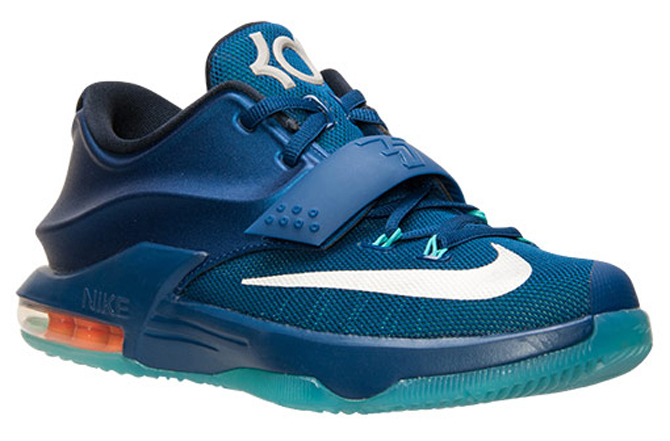 This Nike KD 7 GS release will be in stores starting on May 15 – the same day that the "Elevate" launches.